The Behselich family in America comes from the Bitburg-Prum region of modern day Germany. 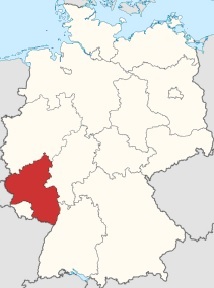 This region is part of the Rhineland-Palatinate state. 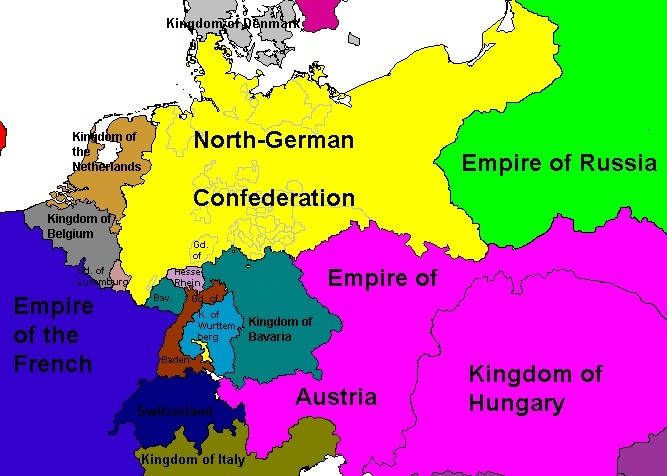 This small area has been fought over for centuries and has been under the control of Rome, the Holy Roman Empire, Luxembourg, Bavaria, France, Prussia, and finally Germany. According to Ancestry.com, the family name (originally spelled Befselich) has been recorded in the towns of Weiler in Cochem-Zell county; Fell, Fusenich , and Igel in Trier-Saarburg county; and Kyllburg, Schleid, Gindorf, Dahlem, Idenheim, and Pickliessem in Bitburg-Prum county. Phillipus Befselich, from Schleid, married Anne Marie Peters in about 1853. She was from the city of Trier in the Trier-Saarburg region of the Rhineland-Palatinate just to the south of Bitburg-Prum. They had nine children: Nicholas (twin), Leonardus (twin), Barbara, Nicholas, Theodore, Theodore, Joannes, Frederick, and Anton. Six are known to have survived into adulthood. They are the names that are not underlined. The older five were all born before the Austro Prussian War of 1866. 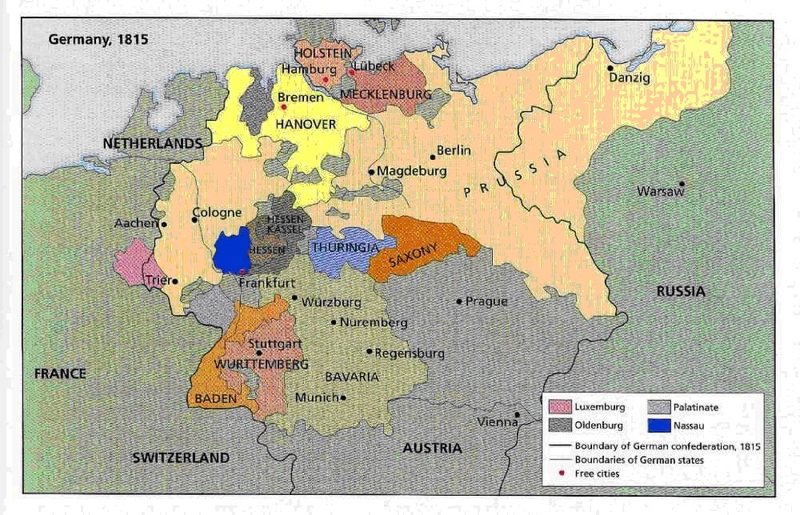 According to Charles A. Fyffe, a member of the British Royal Historical Society in the late 1800s (Project Gutenberg, 2004), this war unified the Northern German States with the Prussian Kingdom into a North German Confederation (2007) which already included Bitburg-Prum. Interestingly, Frederick was born on January 13, 1866, just months before the war broke out in June. Unfortunately, peace was short lived. About two years before Anton was born, the Franco Prussian war broke out on July 19, 1870 and lasted until May 10, 1871. The Austro/Franco-Prussian War articles tell that the North German Confederation sought to annex the southern German states creating a European power with the possibility of inheriting the Spanish throne through the Prussian Prince. France (lead by Napoleon III) disliked the idea of having a neighbor who could possibly ally with Spain and shift Europe’s balance of power. Napoleon III was able to get the prince’s candidacy to the Spanish throne withdrawn, but that was not enough. France wanted an official apology from Prussia and a guarantee that the prince would not accept another candidacy to the Spanish throne. The Prussian King refused, and France declared war on Prussia. 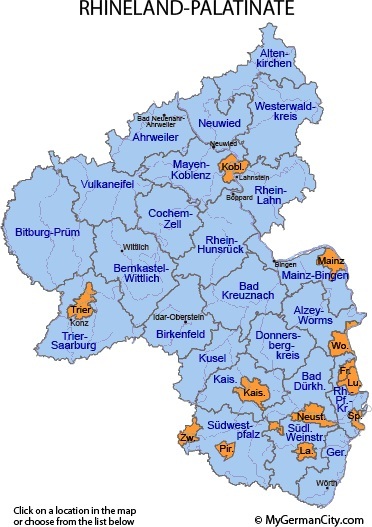 The Southern German states quickly joined the Northern Confederation and defeated France (2007). Phillipus and Anne’s oldest son, Leonardus, fought in this war. Based on descriptions of weapons and depictions of battles, it can be assumed that, due to the technology and battle strategy of the time, fighting conditions were terrible (similar to those of the US civil war). Leonardus sent a letter to his family urging his brothers to leave the region before they were old enough to be drafted. According to Geneologer’s (2013) German military records, that age was 20, and it is assumed that Leonardus died in the Prussian army not long after. So Nicholas, Theodore, Joannes, and Frederick left Schleid and headed for Switzerland. The rest of their journey in unclear, but Robert Behselich & Jane (Behselich) Anderson remember being told that they stowed away on a ship bound for the USA. No record of entry exists for them, and the time and details of their journey are unclear. The first US records that appear are naturalization records for Frederick and Theodore in New Hampton, Chickasaw County, IA. 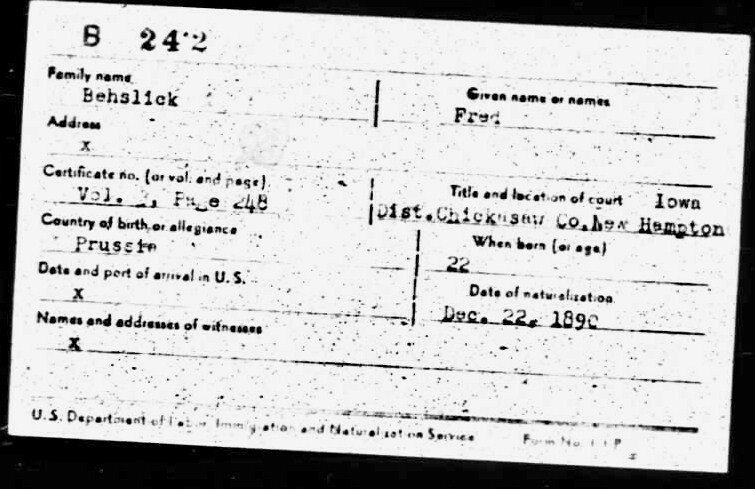 Frederick indicated that he was 22 at the time of his naturalization on December 22, 1890, but according to his birth date, he was 24. 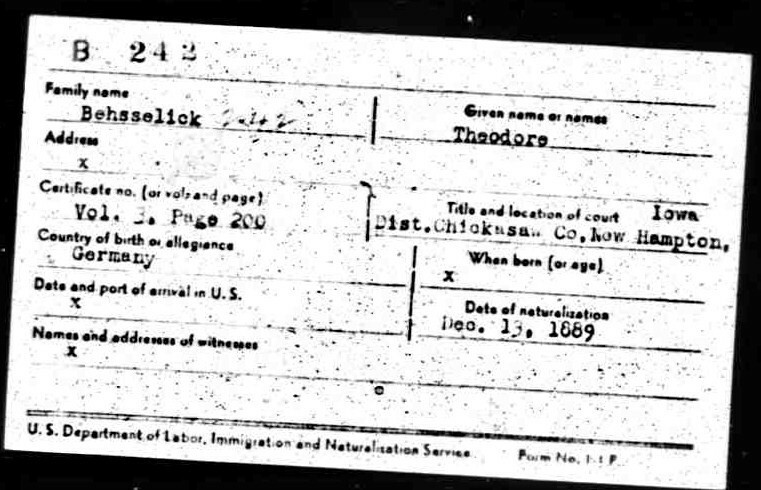 Theodore was naturalized on December 13, 1889 at the age of 28. 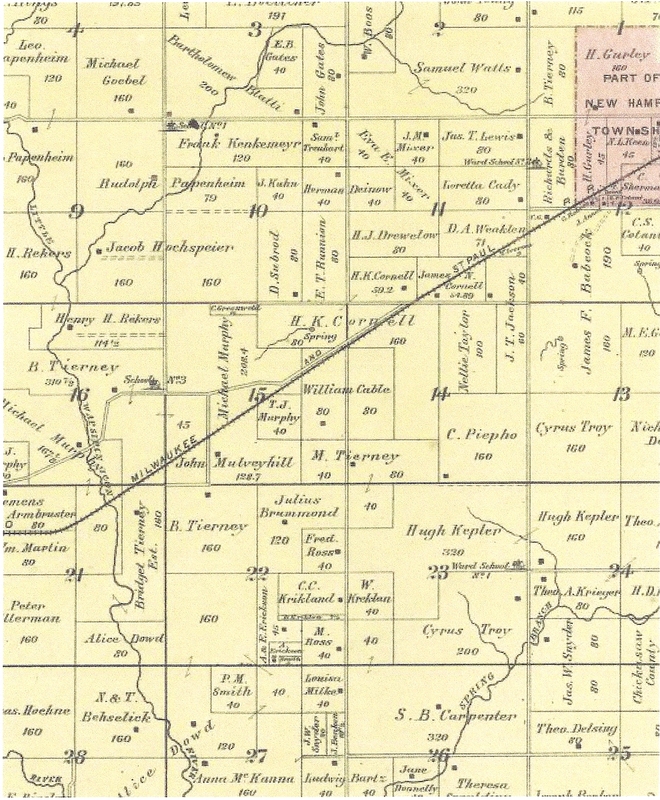 Here the four brothers lived, and “the 1892 land records in Dayton Twp., Chickasaw Co., Iowa, list N & T Behselick (Nick and Ted) as owning 160 acres” (DPBB). They were later joined by their younger brother Anton in 1892. He sailed on the Ship Belgen Land in April of 1892 at the age of 20. Their mother Anne Marie also joined them in New Hampton. She left Hamburg Germany on August 31, 1883 on the ship Normannia captained by Hebich, and she arrived in New York at age 65. The ship record from Ancestry.com lists the travel year as 1893, but there must have been an error when the document was put into the computer because Anne Marie died on September 11, 1891 in New Hampton, Iowa. It is possible that the ink from the 8 could have faded enough to look like a 9. Either way, after she arrived, she traveled to New Hampton to join her sons. 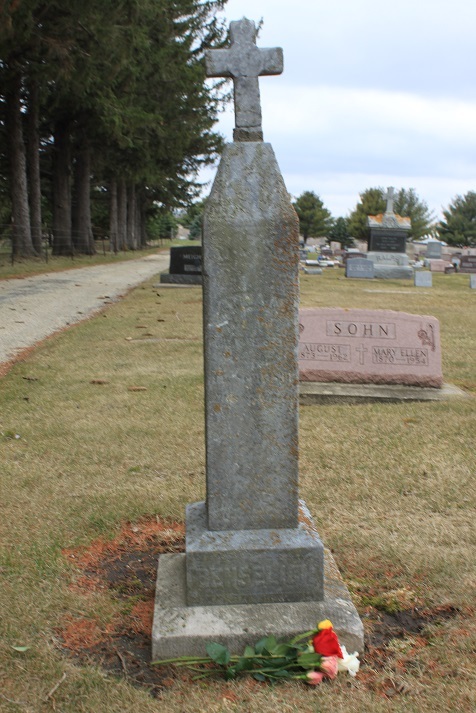 She lived there until she died, and she is buried in Calvary Cemetery just north of New Hampton, IA. About a year and a half later, on January 10, 1893, Frederick married Catherine Ellenz in La Crosse, WI. She was the daughter of Hubert Ellenz and Anne Ehlenz, and she was born in Wolsfeld, Germany on June 1, 1873. He met her there while working as a streetcar conductor for the La Crosse City Railway Company (the railway cars were horse drawn). Catherine was working at a sewing company in the city. They made their way to what is now Ralph Tritz’s Farm at 7772 Sunset Road about 2 miles north of Pittsville. A couple of years later, on December 09, 1913, they bought 200 acres (the original farm) from Michael Rohe (Warranty Deed). Since they didn’t bring much from Iowa, Fred and Catherine had to buy some machinery and cows. The cows came from local farms and the herd included many different and mixed breeds. According to George Behselich, Philip said that when Fred and Catherine bought the farm, there was a “shack” of a house and a barn on the property and on Good Friday, ca. 1914-1915, the house burned down. The older girls, possibly Emma and Anna, were in the upstairs trying to throw the clothes out, but the East wind kept blowing them back in. After the fire, they moved into an old, empty house across the road to the East for a while on what is now Peter and Sally Petersen’s farm. A few years later, sometime between 1920 and 1928, Fred and Catherine sold 120 acres to Frank Bear. Frank wanted to put a barn up, but he needed a hill to put it in, so he kept asking Fred to sell him 20 more acres, which he eventually did before 1928 (George Behselich). Years later, on October 13, 1933, Fred and Catherine sold about 3.76 acres of land to the county for the construction of the modern day Highway 80 (Behselich Farm Abstract). Eventually the children started to get married and move away. Emma married Arthur Hamel on November 22, 1915 at St. Joachim’s Catholic Church in Pittsville. Anna married Mathias Esser August 11, 1925 at St. Joachim’s. Anton married Thelma Brown on July 31, 1922 at St. Joachim’s. Susan married Robert Dowd on November 24, 1925 in Winnebago County, Illinois. Martha married Victor Durand on August 6, 1929 at St. Joachim’s. Theresa married Otto Niemeier on January 10, 1935 at St. Joachim’s. Francis married Arthur Hack. Marie married Alfred Ellie on June 14, 1932 at St. Joachims. Agnes married Peter Esser on October 30, 1939 at St. Joachim’s, and Lavern married Hazel Walton on November 1, 1938. Philip wanted to stick around and continue to farm with Frederick and Catherine, so he did. Eventually, he started dating Lillian Brown. She was the daughter of George and Phoebe Brown and the sister of Thelma Brown who married Phil’s brother Anton. The Browns lived in Pittsville, and the family traced their ancestry in America back to shortly after the arrival of the Mayflower – a story that Lillian passed on to her descendents. As time went on, Philip and Lillian got married on May 4, 1921 at St. Joachim’s Catholic Church in Pittsville. They rented the Runo farm that was just southwest of the Catholic cemetery in Pittsville. The buildings stood on a small hill there, and the house was painted bright pink. This is where George, Robert, and Kate were born as well as another girl who was born before Kate and died at birth. At the time, Philip was still helping Frederick and Catherine with their farm. Around 1929, Philip and Lillian ran above ground water lines to the dairy barn and put in a water storage tank and drinking cups. The water pipes were hooked up to a well that was just west of the base of the haymow driveway, and the well had a hand pump. However, there was not enough water from the well for the drinking cups, so they were not used. Approximate path of the runaway team of horses. Horses weren’t the only source of transportation for Philip and Lillian. In about 1926, they bought their first car, a Model T. They used that when they could until they bought a different car later on. (George Behselich). One day, around this same time, Philip and George were putting fence posts in around the west field by Brandt’s. There was hay there at the time, and Phil wanted to pasture the cows on it. When they were working at the southeast corner of the field, Philip was holding the fence posts and George was pounding them in with the mall. On one swing, George hit the post at an odd angle, and Philip’s left arm slid forward. When it did, it pulled about four inches of skin back from the inside of his elbow up his arm exposing the muscle. Phil put the skin back, and George laughed a bit not realizing what happened. Philip looked sick and felt faint, and George finally saw that the skin had been peeled back. So he helped Philip walk back up to the house. Lillian cleaned out the wound, put Watkins salve on it, bandaged it up, and it eventually healed. A few years later, in ca. 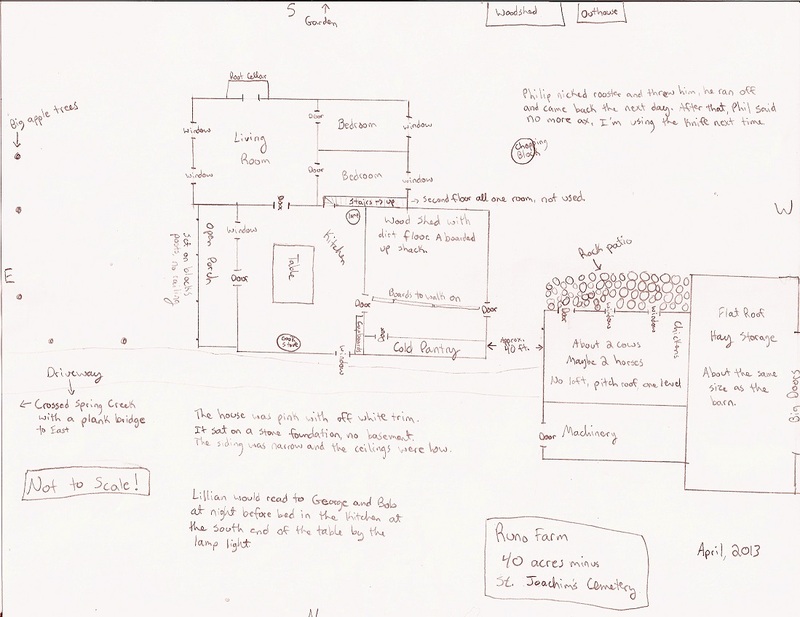 1947, underground water lines were run from the well to the dairy barn and the house. 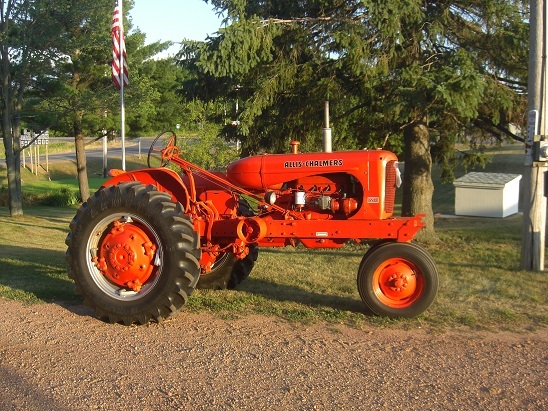 Then, a couple of years later, in the spring of 1950, Philip bought a 1949 WD 40 Allis Chalmers tractor and cultivator. He traded in an Allis Chalmers Model C. He bought them from Orgel’s Garage, a Ford dealership in Pittsville that was in the empty lot across from Laura’s Corner Cafe that also sold Allis Chalmers equipment. The Allis has been overhauled twice, and it is still used today. 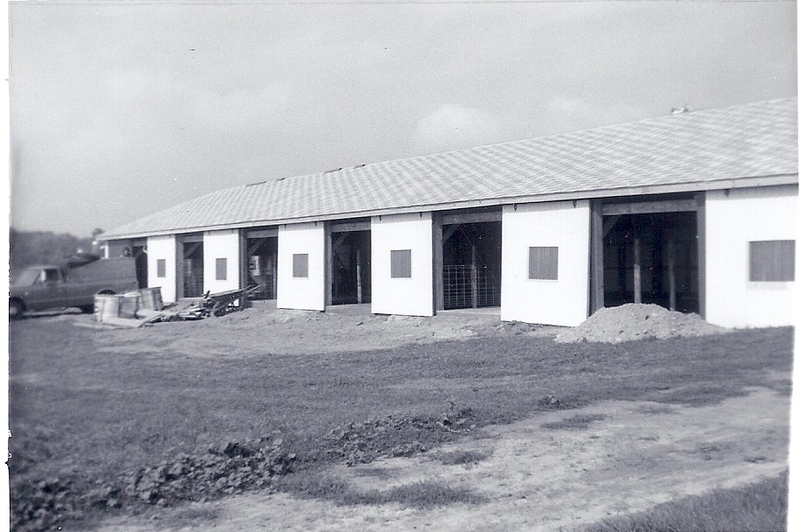 A year later, in 1951, the milkhouse was added onto the dairy barn. George was the only one of Philip and Lillian’s six children who wanted to farm. He started farming after he finished eighth grade and he never attended high school. He continued to farm for the rest of his life. His siblings got married and moved away. Robert moved to Milwaukee after he graduated high school to get a job; and later on, he married Darlene Holseth on June 28, 1945 at St. John’s Catholic Church in Marshfield, WI. Kate married William Schroeder on June 17, 1948 at St. Joachim’s, and they eventually moved to Palmyra, WI. Anna Lee joined the convent to become a nun, but she never took her final vows. She married Thomas Hagen on November 29, 1966 at St. Joachim’s. Jane married Donald Anderson on October 7, 1961 in Marshfield, and Joan married Martin Bleik on May 8, 1959 at St. Joachim’s. George and Geraldine were married on June 1, 1946 at Sacred Heart Catholic Church in Marshfield, WI. Right after they were married, they lived with Philip & Lillian on the farm. It was around this time that Philip & Lillian had the front (East) porch put on, and George and Geraldine used it as their entry way into the farm house. George and Geraldine lived in the living room and downstairs bedroom for five years, and Philip & Lillian had the kitchen, dining room, and upstairs bedrooms during that time. While living on the farm, George and Geraldine enjoyed staying busy, and they wanted some chickens to take care of and to have eggs to sell. So, in ca. 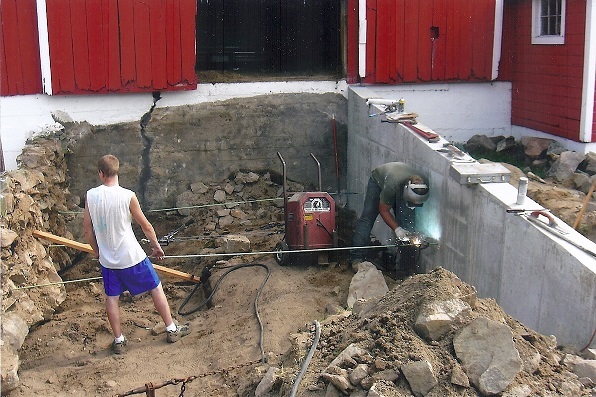 2005-06, George, Paul, Dennis, and Scott remodeled the dairy barn to house chickens because the chicken coop was full of lumber and Sue didn’t want the chicken smell next to the clothesline. Pens were made on the south side of the dairy barn, roosts were put up, and nesting boxes were installed. George and Geraldine would feed the chickens and collect, wash, and sell the eggs. Paul, Dennis, and some of the younger children would keep the pens cleaned out. Eventually, though, George and Geraldine got too old to handle all of the work. So, Sue and some of the children kept up with taking care of the chickens and selling the eggs. Every couple of years, when the egg production goes down, the chickens are sold and pullets are bought to replace them, and today, the birds are still in the barn laying eggs. Paul and Sue’s children grew, they graduated from high school; and some went on to graduate from college. Others got married and started their own families. In 2005, Brian joined the Marines, and he served in Iraq at Camp Fallujah from 2006-2007 and in Afghanistan in 2009. Michael Edwards also became a part of the family. He lived with his grandmother; but, starting in about first grade, he would ride with Dennis in the semi across country during the summer and sometimes during the school year. He would read the map, plan the routes, and talk about the military with Dennis. Overtime, he became more of a son to Dennis and a part of the family. As the time for the farm’s 100th anniversary began to draw near, Dennis, Paul and Sue began to make plans for a grand family reunion to include all of the descendents of the first Behselich owners of the farm, Frederick and Catherine. In 2011, Jeremiah, Jeffrey, Brian, and Michael painted the grain bins and grain leg. The stone wall for the barn driveway was also saved and repaired that year. 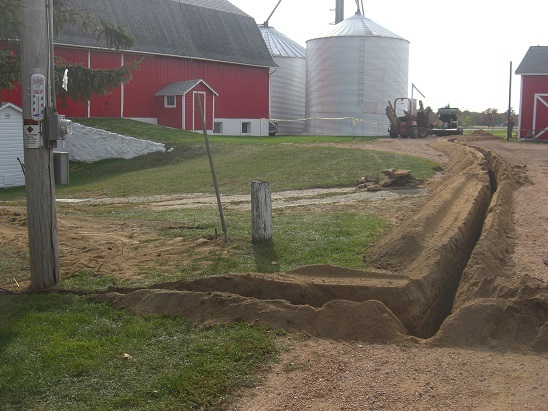 In 2012, the electrical lines were put underground and Scott scraped the shed, dairy barn, and chicken coop and pressure washed the hog barn. Then Brian and Scott painted these buildings. 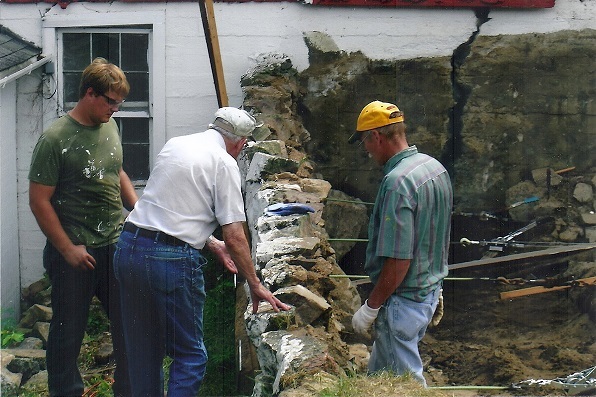 2013 brought the addition of pavement block walkways and a patio, the replacement of the fence on the northeast side of the dairy barn, and the final preparations for the 100th anniversary. Today, the farm consists of 60 acres of the original 200 acres, plus 36.9 acres by the Yellow River, and it is still being used. 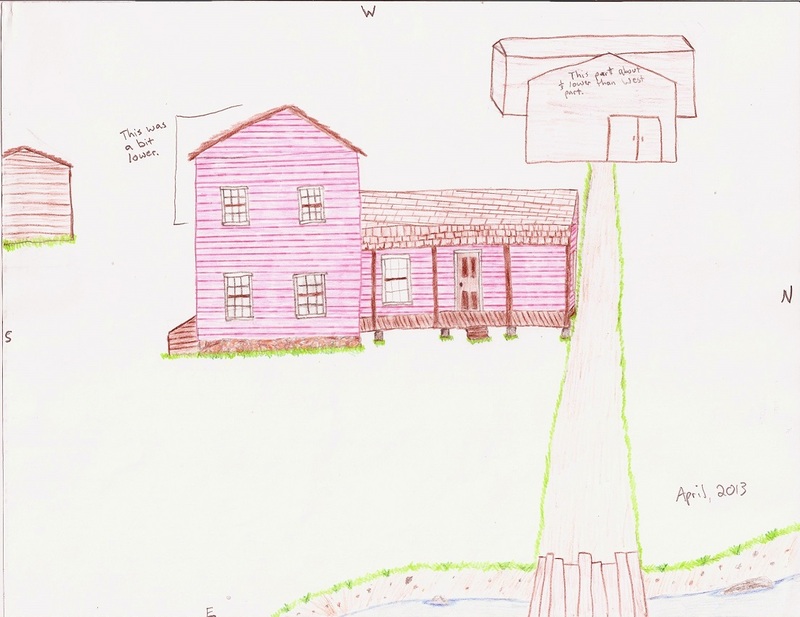 Paul and Dennis are still raising butcher hogs, and the neighbors rent some of the land for crops. The buildings have been repaired, and the final preparations for the Century Celebration this summer are well underway! History of Modern Europe 1792-1872, by C. A. Fyffe. Release Date: 4 Sept. 2004. Ebook # 6589. Updated: 31 Jan. 2004. Web. 11 April 2013. Ancestry.com Name Index. freepages.rootsweb.ancestry.com. Ancestry.com. Web. 11 April 2013. George Behselich. Personal Interviews. 2012-2013. “German Genealogy: German Military Records.” Genealoger: Family History and Genealogy Services. Image. Rhineland – Palatinate, Germany. August 27, 2012. Web. June 24, 2013. “The Franco Prussian War.” International World History Project. 2007. Web. 11 April 2013. Behselich Farm Abstract. Section A. Pages 10, 18, and others. Image: Library of Congress. 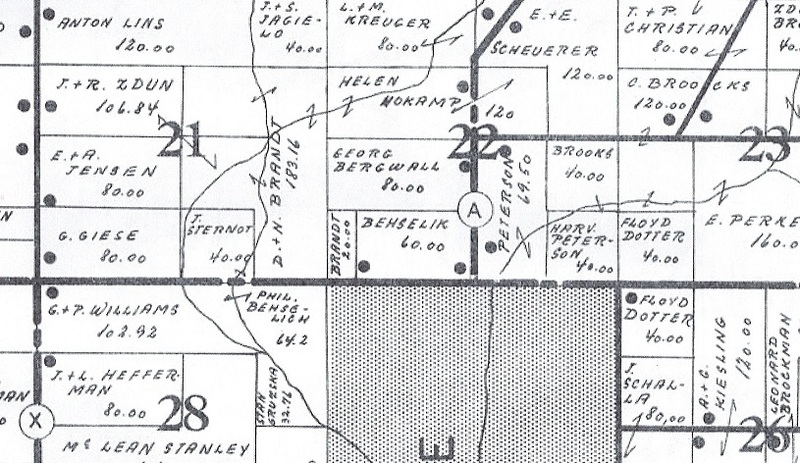 Plat Book of Chickasaw County, Iowa. North West Publishing Company. Image: University of WI/Digital Collections. The State of WI Collection: Standard Atlas of Wood County. 1928. Web. Page 31. 18 April 2013. Warranty Deed. Number 113443. Volume 93. Page 25. (Manakato, MN). 1956. Web. The State of Wisconsin Collection UW/DC. PDF File. 18 April 2013. Behselich Farm Abstract. Section F. Pages XVIII; XXV. Family Tree Book. Descendents of Frederick Behselich and Catherine Ellenz. George, Geraldine, and Paul Behselich. Personal Interviews. 2012-2013. George, Geraldine, Dennis, Paul, and Sue Behselich. Personal Interviews. 2013.